Look at these boys all adorable and little last year on Halloween. 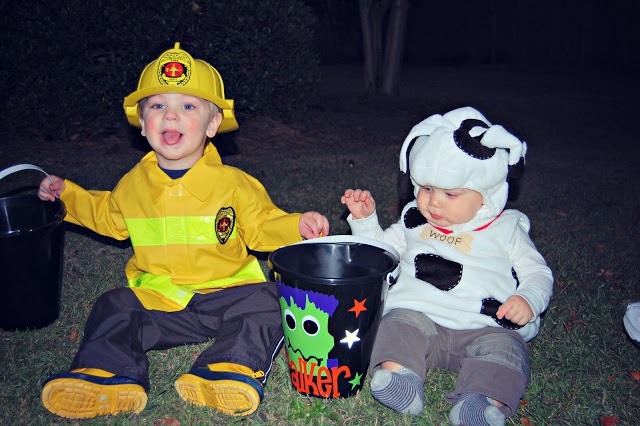 The firefighter with his little dalmation. I had a great "matching" Halloween costume idea for the boys this year (Captain Hook and Peter Pan)...but Charlie refuses to be a Pirate. He really wants to be a race car driver....but the only partner costume to that would be a Nascar fan with cut-off jean shorts. Not happening. I'm still working on a compromising idea. Here are some things from her shop that I just adore. Don't you want one of everything, now?! Well...you're in luck! 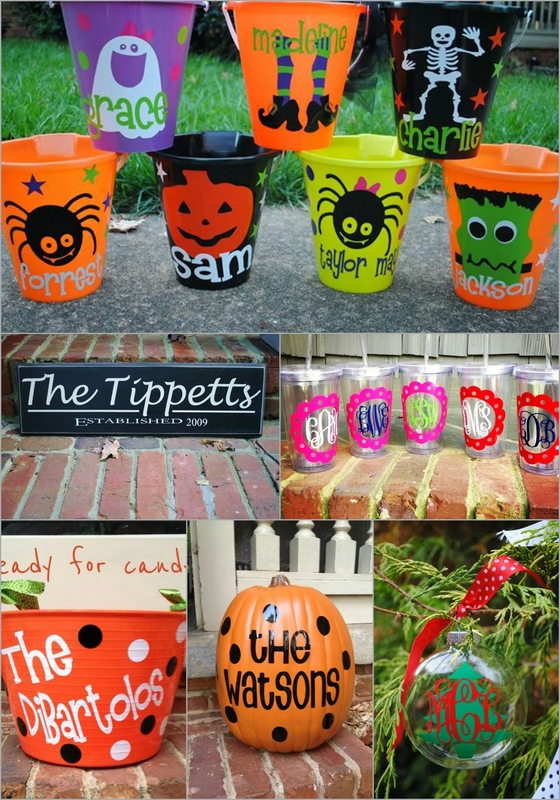 Today Jennie is giving one lucky reader a personalized Halloween bucket of their choice, and is giving all readers 10% off for this week. Yay, yay! This giveaway will end on Sunday, and the winner will be notified via email. Comments turned off so you can go browse Jennie from the Blocks!